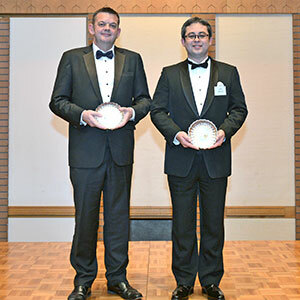 Paul Norbury received his award for developing Japanese studies in the UK and promoting understanding of Japan there. 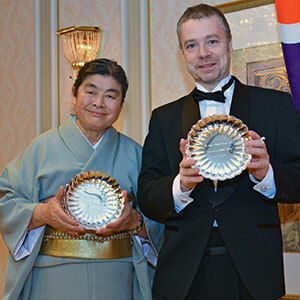 Paul Norbury—now residing in Folkestone, Kent—the former chief executive of Global Oriental, was awarded The Order of the Rising Sun, Gold and Silver Rays, for developing Japanese studies in the UK and promoting understanding of Japan there. 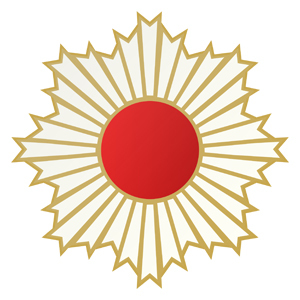 Jonathan Gregory, the Leicestershire-based chairman of the UK– Japan Music Society and director of music for the UK–Japan Choir, received The Order of the Rising Sun, Gold Rays with Rosette, for his work promoting cultural exchanges through music-related activities involving musicians from both countries. The year 2011 marked the 40th anniversary of Norbury publishing books and magazines about Japan. The four- decade relationship with Japan began with the launch of Tsuru magazine for Japan Airlines in 1971; his latest project was a Global Oriental imprint, released in October, of a 10-volume collection of critical readings on the Occupation era, as well as a volume entitled Japan and The Graphic: Complete Record of Reported Events. 1870–1889. “My publishing on Japan is a good example of niche publishing, which is the only route a small publisher can take and hope to survive—although it has been a rocky path”, the 71-year-old Norbury said. “I am very honoured to have had my perseverance and persistence recognised in this way; it is humbling, but the accolade brings me great joy”. What started as Paul Norbury Publications, evolved into the Japan Library, becoming Global Oriental in 1995. 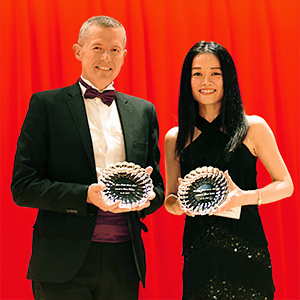 As the largest independent publisher on Japan in Europe and North America, it has become the publisher of choice for the European Association of Japanese Studies and the Japan Society of London. 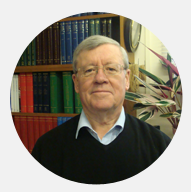 Norbury is also proud of the work he did to promote teaching about Japan in British schools throughout the 1980s. “When I first visited Japan in 1973, I was absolutely amazed by the dynamism and energy of a country totally committed to achievement and success; it was, as we say today, a 24/7 working environment; it was the new industrial powerhouse and manufacturer to the world”, he said. The ignorance in Britain about what was happening here at that time, “was tragic and unbelievable”, he added. “Subsequently, I was told I was heading for commercial suicide thinking there would be a market for my books on Japan”, he said. “In the following 40 years we have witnessed Japan’s meteoric rise and fall. But, as we have all discovered, we in the West can create even bigger bubbles than Japan did. “Sadly, in this same timeframe, we have also witnessed the rise and fall of Japanese Studies in the UK—an irrational response over the last 10 years, in part due to the emergence of China and other economies around the world, although—happily—there are some recent encouraging new developments”, he explained. “And, as the world’s third- largest economy, we ignore Japan at our peril”. 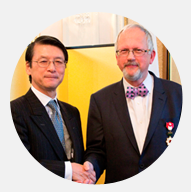 Ambassador Keiichi Hayashi presented Jonathan Gregory with the Order of the Rising Sun, at the Embassy of Japan in London on 2 December. Gregory has had a similarly long link with Japan, since meeting his wife, Yoshimi, in the early 1980s. 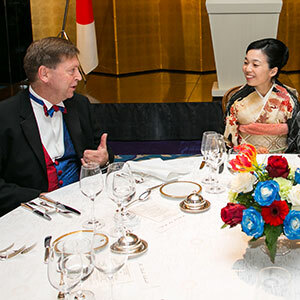 The UK– Japan Festival of 1991, held across Britain, led to an increase in musical interaction, with the UK–Japan Music Society and the UK–Japan Choir both founded the following year with the aim of promoting bilateral relations through music. Since then, young people from both countries have regularly taken part in exchange visits, with choristers from Leicester Cathedral—where Gregory was until recently director of music—staying in Tokyo, Yokohama, Kyoto, Nara and Toyama, as well as many other places across Japan. “Through our activities, I have introduced a variety of Japanese music to the UK, while introducing the best of British music to the Japanese audience here in the UK and also in Japan”, 60-year-old Gregory said. “For instance, I feel I have contributed, in a small way, to spreading the work of John Rutter, the contemporary British composer, in Japan, as well as Elgar, Byrd, Purcell and others. “I have always aimed to perform to a very high standard, even with very limited resources”. Some of Gregory’s most memorable occasions over the past 20 years include performing Beethoven’s 9th Symphony at the Queen Elizabeth Hall with a 120-strong choir; youngsters from the UK performing songs in Japanese; and his exploration of the Japan Alps before singing at a new church in Toyama. “There has been increased understanding on both sides, and also a valuing of both of our musical inheritances”, said Gregory. “At first, the relationship was a bit cautious, but through being together and sharing a common goal—of an imminent concert performance, for instance— we have enjoyed humour and a sense of achievement”. Gregory hopes to be able to continue to build the relationship, expand the repertoire and arrange more visits. Ideally, he would like to spend six months in Japan to learn more about music here, including the people, history and culture, as well as developing more contacts and increasing collaborations. “It is a dream to have the support of a music foundation with whom I would be able to develop really imaginative partnerships and programmes”, he said, adding that the relationship has already taught him that, “music transcends boundaries and language. We have found that Japanese friendships are enduring”.